Usui Ryoho Reiki Reiki (pronounced Ray-key) means universal Energy. It is an ancient, entirely natural and safe form of hands –on healing that works on the physical, emotional, mental and spiritual levels. Reiki is neither a religion or belief system. Its origins are believed to be in India and the East and it dates back many thousands of years before being rediscovered in the late 1800s by a Japanese scholar and monk, Dr Mikao Usui.. Today Reiki Masters continue to teach students in the Usui Shiki Ryoho tradition. Reiki is a simple and powerful process which allows the channelled energy to flow through the practitioners hands to wherever it is needed in the body, balancing and strengthening the body’s natural ability to heal its self, not only of physical disorders but in the release of mental stress. With its gentle nurturing energy. Reiki is a holistic healing system which will support, but not replace, all other forms of treatment, both orthodox and complementary. What could Reiki do ? Reiki is a simple non-intrusive, yet powerful experience channeling energy which can be used successfully in its own right to alleviate pain and to treat numerous physical and mental problems. It can be incorporated naturally into other therapies and will assist in the treatment of stress, anxiety, tension, pain, migraine, insomnia, depression, digestive problems and eating disorders. You do not have to be ill to benefit from treatment as Reiki is also a beneficial tonic that can assist you to maintain good health, energy and vitality. As well as Reiki I try and choose a piece of suitable music for each client to raise the vibrations aid the healing process. How Reiki could help you * Improve relaxation, calmness and a sense of well being. * Eases aches, pains and relieves many common illnesses and strengthens the immune system. * Encourages a sense of grounding and mental clarity..
* Helps connect with inner self and promote self healing. * Help to cope with stress. How Reiki Helps Cancer Patients Reiki, a stress reduction and relaxation technique, has become a subject of curiosity for cancer patients everywhere. Studies and anecdotal evidence has shown that, in addition to promoting relaxation among patients, Reiki can also be used to encourage healing and provide other benefits. In fact, some studies have even explored the effect of Reiki on patients who are undergoing cancer treatment concurrently. These studies have found that, although Reiki is not a substitute for other cancer treatments, it may enhance these treatments and offer a number of benefits to patients as they deal with the symptoms and stresses of cancer. As Reiki is a non-invasive technique that causes no side effects or complications, it can be performed on cancer patients at virtually ant time following their diagnosis. ​It is important to note that Reiki is not a substitute for traditional cancer treatments. 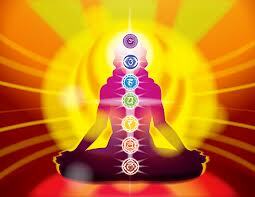 The next best thing to receiving Reiki is to practice yourself, so why not take a Reiki course. Below is a brief outline of courses. 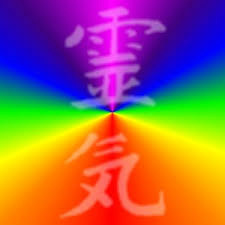 :- Reiki level 1- this is mainly about yourself, you learn the history of Reiki, the 5Principals. We will work with Auras and Chakras , meditation , hand positions to work on ourselves, family and friends, how to Keep yourself safe and more~ Keep a 21 day diary and above all enjoy . Reiki level 2 Practitioner level - This is about treating others, a quick review of level one then moving on to setting up as a practitioner, uses of symbols, absent healing, attunement ,Auras and Chakras, encouragement in progress in each students own self healing, legal and accounts etc. 21 day diary and a case study. * * * * * For Reiki courses, Fees and dates please contact me. ​makes ideal thank you or birthday presents.